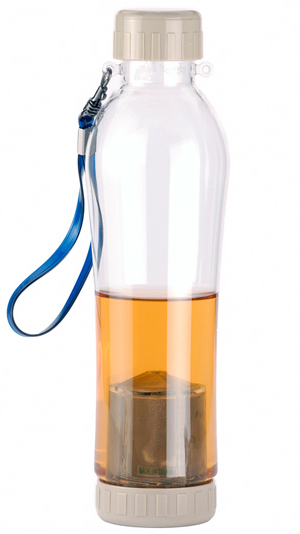 Pure Puer Tea and Piao I USA is honored that the popular online men’s magazine Uncrate.com has featured the Piao I Travel Buddy tea infuser bottle on the gear section of its website. According to uncrate, “Uncrate is a web magazine for guys who love stuff. Our team finds the best gadgets, clothes, cars, DVDs and more. Whether you’re hiking, camping, or just running late for work, you can brew your favorite teas on the go with the Travel Buddy Tea Infuser ($27-$33). Available in three sizes for modest to boast-worthy drinkers, the Travel Buddy features a built-in strainer helps to filter tea, a special safe lid with air leaking design to prevent air blowout, the ability to brew green tea, black tea, flower tea, herb tea, fruit tea coffee grounds or tea bags, and a leak-proof design. August 8, 2009 | Filed under Uncategorized.